My husband is a big pie fan. Huge actually. His theory is: eat it in the morning for breakfast so you have the whole day to burn off the calorie bomb. I find this particularly funny as my husband is 6”2 and on the slim side—weight, you could say, has never been his concern. Lucky him. My kids support his theory wholeheartedly. Waffles with ice cream often appear on the breakfast menu when I’m away. 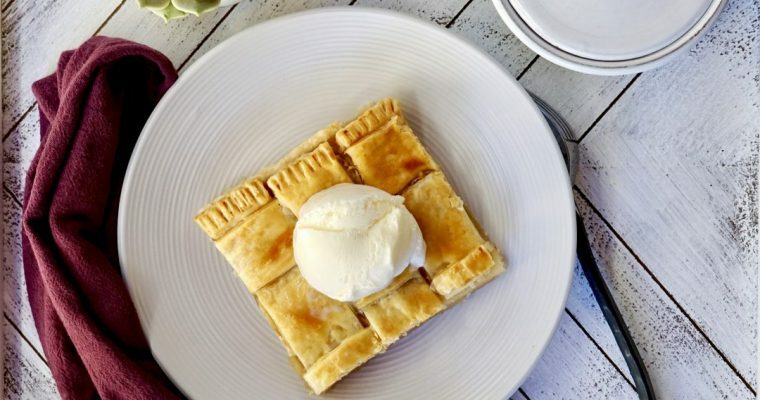 All three will push aside my protein-packed breakfasts to indulge in a slightly warmed piece of homemade apple pie with a generous dollop of whipped cream on the side. This “ sugar-bomb theory” can be applied to all sweets, but pie seems to be my husband’s kryoptonite. You’ve probably heard the saying “American as apple pie.” Despite the saying, apple pie isn’t really all that American. Apples are not actually even native to the United States; the English brought them to the American colonies. At first, apple trees actually struggled to survive in the U.S. and did not begin to bear fruit properly until the introduction of the European honeybee around 1622. 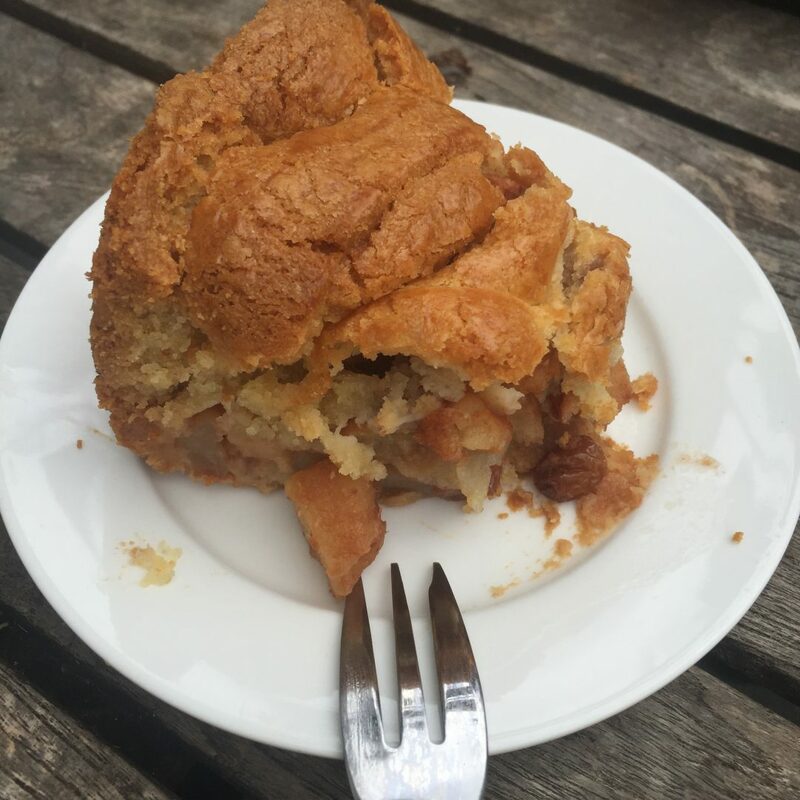 Some say the first recorded recipe for apple pie was written in England around 1381, but it looked very different, containing apples along with other fruits such as pears, raisins, figs and saffron seasoning. Sugar was too expensive and thus not used in older recipes. Dutch apple pie recipes however, have been around for centuries and can be traced back to 1514. French, Italian and German recipes can also be found well before the American colonies were established. 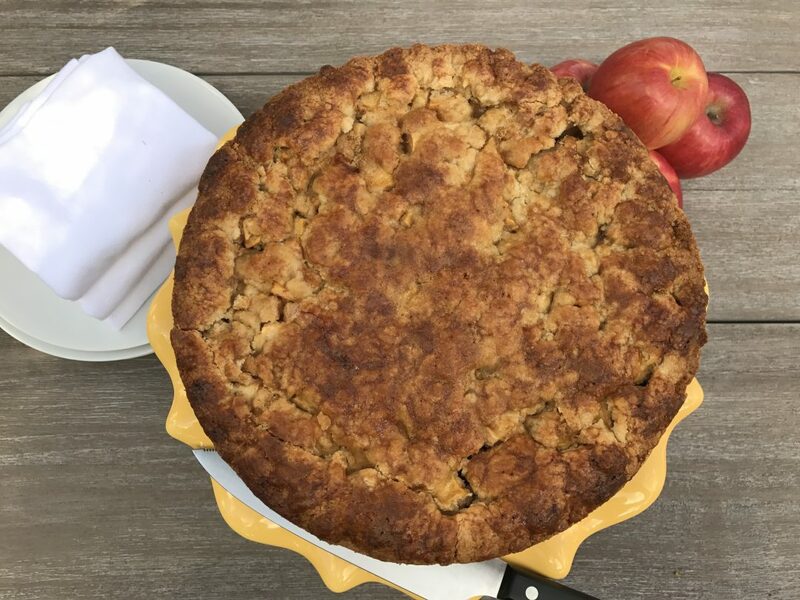 The first “American” apple pie recipe did not appear till the late 1700’s. Like most Americans, I have tried hundreds of apple pies over the years. I felt compelled to try to like them. But they can be too mushy, too sweet, not sweet enough, have a bland crust, flavorless filling, too much cinnamon. For me, there is always something to keep me from really enjoying a slice of apple pie. After culinary school, I came to like the classic French apple tart. 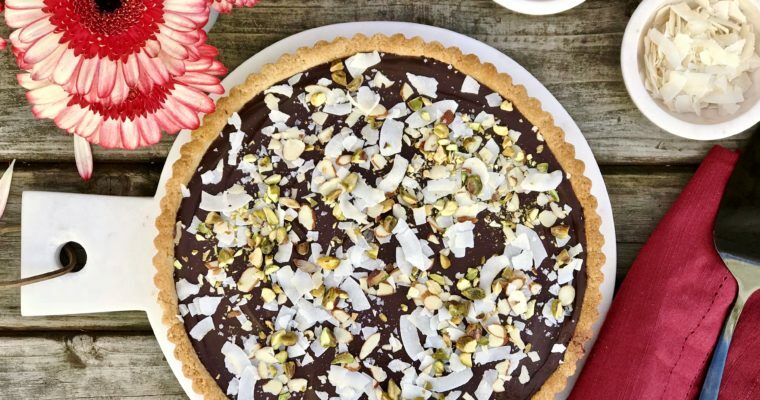 Simple, delicate, not too sweet–this became my pie substitute. It was close enough. Everything changed for me when I traveled to Amsterdam in June 2016. 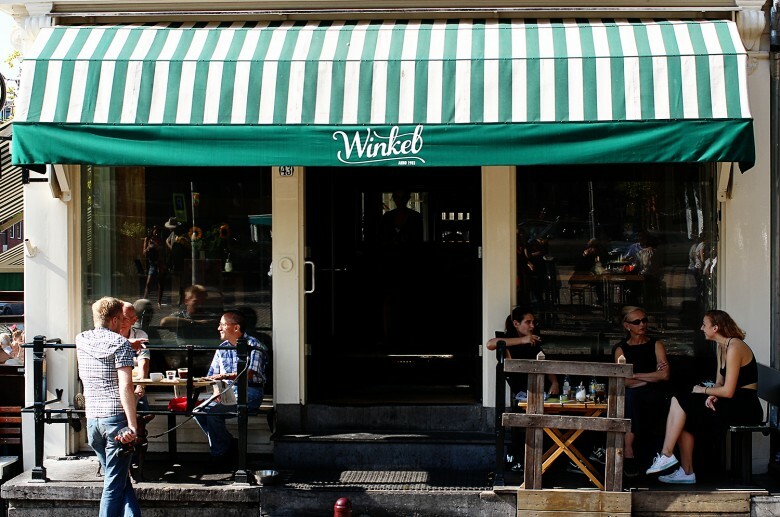 There I stumbled upon Café Winkle, a well-known cafe tucked away in the Jordaan neighborhood, and their amazing apple pie. The Dutch call it “appeltaart.” It is Holland’s magnificent national pastry, and it is truly amazing. At first, I thought maybe it tasted so good because it was the first thing I ate after a long, 13-hour flight from San Francisco. Maybe is was so good because it made my kids briefly stop complaining about how exhausted they were, despite sleeping more on the plane than my husband or I. Maybe it was so good simply because we were on vacation. But I was wrong, and I went back several days later before leaving Amsterdam and had it again, for breakfast, to confirm. The deliciousness was confirmed. It is like no other apple pie I had ever had. It is, in fact, the “apple pie” I had been dreaming about my whole life. In the Netherlands, the apple pie looks (and tastes) almost like a cake. It’s baked in a spring-form pan and the pastry is sweet with a French sablé-like texture. The crust, instead of being rolled, is pressed into the bottom and the sides of the pan. Firm and soft apples are used so that the pie keeps its shape and the apple pieces are still clearly visible when a piece is cut off. The filling is flavored with raisins, spices, lemon juice and sometimes nuts and liqueur. The top can be a lattice top or be a crumble-like. It’s usually eaten cold or room temperature, and almost always served with fresh whipped cream on top. Sadly, for me, Winkle does not give out their recipe, but I have come up with something I think is rather close. Nothing can replicate being in Amsterdam, sitting at Winkle on that beautiful corner,near a canal, enjoying their national pastry. Like a true French croissant, they are simply better when in France. But for me, this is better than the normal American alternative. Step 2 For the dough. Combine the flour, sugars and salt in the bowl of a mixer, such as a KitchenAid, fitting with a paddle attachment. Step 3 While on low, add the butter and mix to incorporate. Step 4 Add the egg and mix until a wet dough starts to form. Step 5 Remove the dough from the mixer and place on a lightly floured surface, knead dough together until it forms a ball. Step 6 Place the dough in a small bowl and refrigerate till needed. Step 7 For the filling. Peel and core the apples, then cut them into small bite-size pieces. Step 8 In a large mixing bowl, mix the apples, the lemon juice, brown sugar, cinnamon, cornstarch, Cognac and raisins. Mix well to incorporate. Set aside. Step 9 To assemble. Grease a large spring-form pan. Step 10 Remove the dough from the refrigerator. Remove 1/3 of the dough and set aside, this will be used for the top of the tart later. Step 11 Place the large piece of dough in the prepared pan Using your fingers, firmly press the dough against the bottom and all the way up the sides of the pan. Try to make the dough of even thickness and be sure to completely cover the bottom and the sides, it does not need to look good! Step 12 Give the apple mixture a good stir. Pour the apples into the pan and press down to compress the filling, making it flat on top. Step 14 Using your fingers try to mold and flatten some of the dough along the edge of the pan. Pressing lightly, try to connect the top crust pieces with the side crust. Continue to gently flatten the remaining dough over the rest of the tart. You will want some holes in the dough where apples peek through so do not completely cover the top with the dough pieces. Step 15 Sprinkle the additional tablespoon of brown sugar over the top of the tart. Step 16 Using a pastry brush, lightly brush the top of the tart with the egg wash. Step 17 Place the tart on a baking sheet and place on the middle oven rack. Bake for about 1 hour. Check the tart at this point, if getting too dark, loosely cover it with a piece of aluminum foil. Rotate the art and cook for an additional 30 minutes or till the apples are cooked through. Step 18 Remove the tart from the oven and before removing the sides of the pan, let cool completely (this can take about 2-3 hours so be patient). Do not attempt to remove the tart from the pan too soon, it will break apart. Step 19 To serve, slice with a serrated knife and serve with whipped cream.